As we stepped off the train in Hyderabad, her father, Mohan, was waiting on the platform. He greeted both of us, turning to me with a warm handshake then led us to his car. As we put our backpacks in the trunk, beggars began to swarm, some with trinkets in hand, asking for money. Mohan and Swathi both firmly ignored them and got into the car, and I took their lead. On the way home, he warned us about pickpockets and thieves. It was not uncommon for people appearing to be destitute to have lots of money in their bank account. It is very profitable to beg in large cities like this. He said that for every honest man there are two dishonest men. Thieves were professionals in these cities, wearing blades on their fingertips to cut open and loot a pocket without detection. I could tell that he cares very much about the safety and well-being of others, especially his daughter. 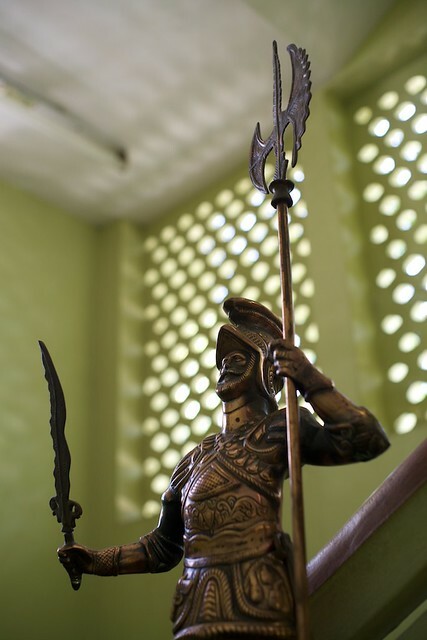 When we arrived at the house, we went up stairs, past the bronze soldiers which lined the entrance way, and I met Swathi’s mom, Shoba, a very kind and hospitable person. 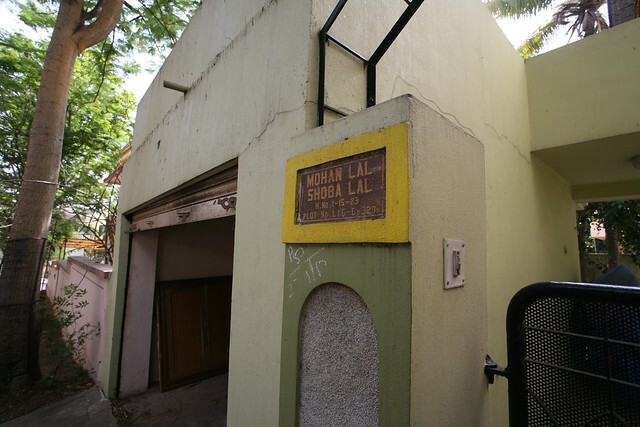 I was shown the way to a room which was used by Aditya, Swathi’s younger brother. 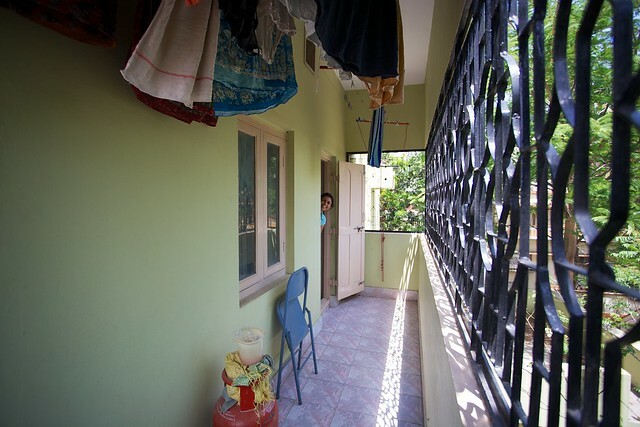 The room has a door which leads to a balcony barred off from the outside, but otherwise so that clothes can dry on lines which are suspended by a pulley system. 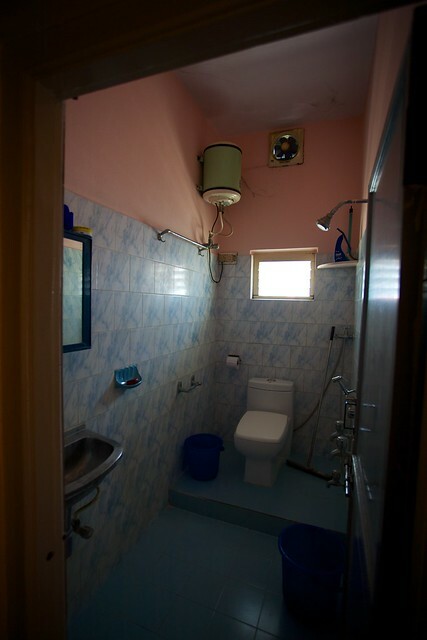 Next to the room is the washroom which has a raised platform for the commode and adjacent hand sprayer, and a shower head facing the wall next to the sink. A squeegee sits in the corner for pushing water into the drain. I would make this place my home for the next four days.